Turning on BBC News yesterday, I was thrown by the sad passing of Charles Kennedy. Not being a LibDem and living hundreds of miles from his constituency (as was), I never had occasion to bump into him in real life. Like most other political people the Charlie Kennedy I knew was the kindly presence on Have I Got News For You, Question Time, and (whisper it) This Week. Perhaps by virtue of the media work, he could lay claim to one of those rarest of commodities. In an age where politicians and politics are almost universally spurned, among those who paid attention he was almost unanimously liked. Can you remember a scurrilous press attack on him? As the LibDems trouped through the government lobbies to vote for some of the most regressive legislation this country has seen in modern times, the opprobrium that attached itself to the LibDems left him untouched. That, however, was not enough to secure him against the SNP blitzkrieg that drove all before it. It was not hard to see why he was liked either. He took over the LibDems during the period of high Blairism, where New Labour was virtually untouchable and not even an unpopular war could dislodge it from office. Nevertheless, it was Kennedy’s opposition to the Iraq War that gave millions their first glimpse at his party and, during his leadership, saw it put on members, influence, and MPs. His stance against the majority of Labour and Tory MPs combining to support the invasion of Iraq granted him a principled reputation, of someone who would say what he thinks but without polarising opinion in the manner of a George Galloway or Nigel Farage. It must have been painful to see his political legacy fed into the mincing machine by his successor, yet he never really came out publicly against the LibDems’ turn to the right. It might not have been his style, as Alastair Campbell suggests, but ultimately his reticence cut short his 30 year career in Parliament. 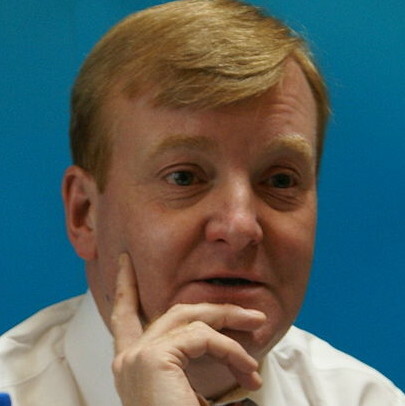 Charles Kennedy was an opponent and episodic friend to the labour movement and our politics. But regardless of that and despite the distance between that and his liberalism, he showed that you can have a principled career in mainstream politics and avoid getting tarred with the self-serving brush. It’s a shame he went too early, and his family and friends have my sympathies. Posted in: Lib-Dems, People, Politics. Cameron’s one-nation programme: pull the other one! He had a knack of working off the Media and using it to promote himself; and he proved more popular with the public than his Party. Rather like BoZo Johnson he bacame a star through Have I Got News for You. Blame Hislop and Merton. By moving the LD’s to the left under New Labour, and in particular by correctly not only opposing the Iraq war but in exposing the lies and distortions under which it was argued by Blair & Co, Kennedy not only put himself on the right side of history on Iraq but also did what the SNP are doing in Scotland and gave the illusion (and it was nothing more than an illusion) that the LD’s were a progressive left force which in turned allowed them to gain seats at the expense of Labour, which in turn meant we lost the 2010 election. It is quite a legacy, and one that any Lib-Dem should be proud of despite their inevitable return to being the enemy rather than friend of the working class. I liked him so for me I will not attack him because I cannot, he was a man of the people, unlike some that we have today who are people for themselves . I like him my condolences to the family and his friends we need more like him not less.